Arborist Greg Mills, of New Albany, helps students from Mt. 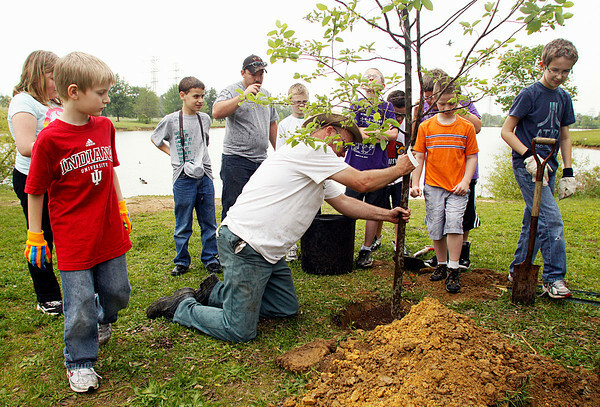 Tabor Elementary School plant a tree in observance of Earth Week at Sam Peden Community Park on Wednesday afternoon. Staff photo by Christopher Fryer.